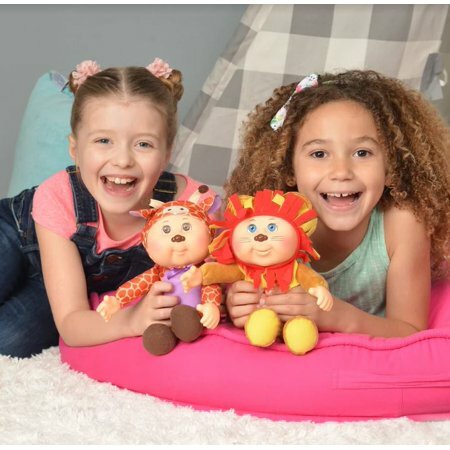 Cabbage Patch Cabbage Patch Zoo Cuties 2PK for only $7.88 !!! reg price $20 !!! Sweet deal for these , Cabbage Patch Cabbage Patch Zoo Cuties 2PK for only $7.88 !!! reg price $20 !!! Cabbage Patch Cabbage Patch Zoo Cuties 2PK. Your favorite Cabbage Patch Zoo Cuties now come in an all-new 2-Pack! This includes both Austin Lion and Serena Giraffe. VTech Sit-to-Stand Ultimate Alphabet Train for just $23.11 + FREE in store Pickup!! reg price $45!! Hamilton Beach 3-in-1 Grill/Griddle for as low as $29 + FREE in store Pickup!! reg price $60!! Tvilum Studio Collection 3-Drawer Dresser thats $53.99 + FREE shipping or pickup!!! reg price $80!!! Nerf Modulus Mediator for only $9.98 !!! reg price $25 !!!! Ozark Trail 8-Person 16 ft. x 8 ft. Family Tent with Built-in Mud Mat for $49.95 !!! reg price $90 !! !